Darelius ? a planet in crisis with its civilisation facing the threat of extinction from a virus to which it has no natural defence. The Darelian people had not been at war for many generations, but now faced not one, but two threats, as a warlike neighbour lay in the wings, awaiting its opportunity. The only hope of salvation lay in a cure derived from the flora of a primitive planet in the Orion System ? eighty light years distant. It all began on Balan ? a planet at war, and also facing its own apocalypse ? 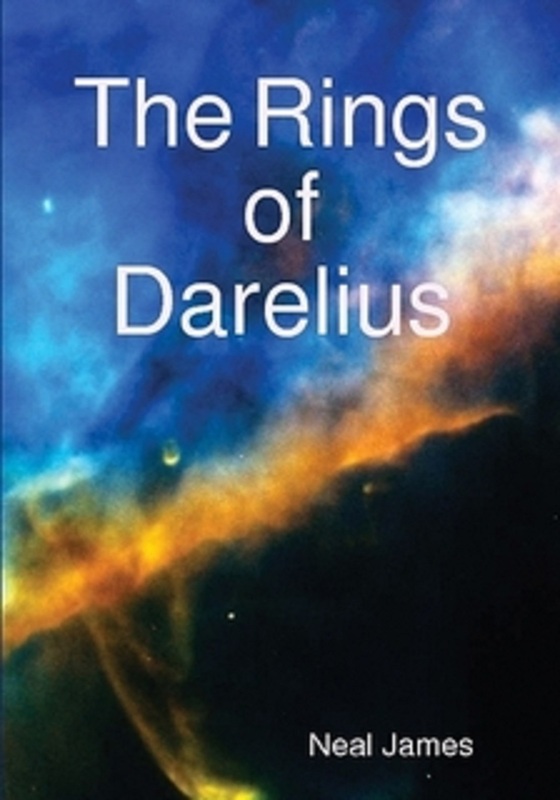 hundreds of years in Darelius? past? Second planet in the Arthrelian System. Mass 5.2413 x 1024Kg. Volume 1.0652098×1017km³, Circumference 3.865977×107m. Atmosphere 75% nitrogen, 22% oxygen, 3% carbon dioxide and other minor gases. Surface Pressure 100.05kPa. Its population of just under 1billion had been stabilised for many generations and was spread evenly across a planet of dramatically contrasting climatic zones. From the frozen wastes of its polar expanses to the sultry regions of its tropical paradises, much care had been taken by its inhabitants in preserving a delicate ecological balance. Culturally, it was, and had been for many millennia, diverse and tolerant. History had revealed alternatives too appalling, and its races had long since thrown off the xenophobia which had dogged earlier times. Politically it was a model of democracy, and a planet-wide federation ensured that, as well as guaranteeing individual freedoms, there was a collective mentality of co-operation and tranquillity. Magnanimous in their attitudes towards friends, the Darelian people were, nevertheless, unafraid to stand up against tyranny and injustice. They had not been at war for many generations. Orbited at its Equator by a ring system of stunning beauty, it was the jewel of the Arthrelian system. The threat of extinction had come out of the black void of space with no warning. Distance from Earth: approximately 80 light years. Calor Delantris stood before the window and stared out at the city skyline. At fifty turns, she was not only the first female to head the government of the Federated States, but was also, upon her accession, the youngest leader in Balan?s history. Slim of build, and no taller than the average male?s shoulder, the casual observer?s first impression was apt to mislead, as her prim demeanour hid a character of steel; light brown shoulder length hair and green eyes served only to compound such error of judgement. She was the last of the committee delegates remaining now that the summit had broken up. This had been their final chance of resolving the global conflict which was threatening to tear Balan apart. The opposing forces in the dispute stood ready and waiting for the final command - massed in strategic locations along a number of fortified border positions. The summit had come so close to a compromise; it was now inconceivable to her that all had come down to a single sentence in the draft agreement which would have ensured peace. ?Madam.? She turned at the sound of Dekor Vestron, her aide. ?Proconsul Gravich wishes to speak with you.? ?Very well, Dekor. Tell him I?ll be with him shortly.? Vestron bowed and was gone. Malkon Gravich was the leader of the hardliners in the Thyrenian Alliance, and a significant amount of table thumping had emanated from that quarter during the week-long negotiations. It had been his intransigence over semantics which had proved to be the downfall of the agreement. One delegate veto had been sufficient, in the Balannic political system, to derail the entire matter; the only smile at the end of the proceedings had been the one upon his face. Now he was back, requesting what amounted to a private meeting with the Chair of the committee. What he had in mind was anyone?s guess. Delantris sighed. She had put much personal effort into bringing the two sides together, but in the end there had been too few doves present to counter the hawks massed to Gravich?s cause. It was to be hoped that he had, at least, some form of settlement up his sleeve. Gathering up her papers, she headed for the council chamber door. ?Proconsul Gravich. You wished to see me in private?? Delantris? face bore no emotion as she entered the office where he had been waiting. ?Yes, indeed.? He smiled ? a fact which should have sent out warning bells. ?May I take a seat?? ?Please do. Would you like some refreshment?? This was a mere courtesy which she did not expect him to accept: she was mistaken. He took the glass offered ? a sweet, warming, drink of which he was particularly fond. He sipped at the liquid, let out a murmur of satisfaction, and sat down. Malkon Gravich was precisely the kind of individual which his outward appearance would indicate. Standing a good head taller than his adversary across the room, his handsome, chiselled, features and finely-honed physique were the stuff of feminine dreams. The fact that this had never impressed Delantris was a constant source of irritation to his vanity. At thirty-five turns, he had achieved more in his lifetime than many a Thyrenian of twice his age could ever have aspired to. The atmosphere in the room was one of deep suspicion on her part, and uncharacteristic openness on his. Once the pleasantry of the refreshment was dispensed with, his demeanour changed and he came straight to the point. Placing a bound folder on the table, he sat back. ?I prefer to do this the old-fashioned way. You never know who can tap into electronic devices, do you? Please take a look.? Gravich was, in fact, carrying a miniature electronic static generator, capable of screening conversation in the room from any unwelcome ears. He sat back in his chair and waited as she opened the dossier. The frown which followed gave him a sense of immense satisfaction. ?This is? what?? Delantris looked up in astonishment. ?A deed of surrender?? ?Not at all, Madam Chairman. Merely the setting out of our position with regard to a mutually beneficial resolution of the dispute.? ?You seem to have drawn the borders enclosing two thirds of the planet?s surface in your favour.? She pushed the document back across the table. ?Why was this not presented in the full meeting?? ?For the simple reason that it needs your influence over the remainder of your people. The Chair?s agreement in principle would go a long way towards securing peace on our planet for some significant length of time. It?s quite straightforward.? ?But the demarcation of the frontiers is quite unacceptable.? Delantris shook her head and scowled across the table. ?I cannot agree to anything remotely like this.? ?You don?t seem to appreciate the full implications of resisting this offer.? He sighed, stood up, gathered the papers, and made for the door. He turned. ?You have seven cycles to make a decision. I will return, but be warned - this is your final chance to prevent a conflict the like of which Balan has never before experienced.? The chilling tone of Gravich?s voice echoed alarmingly following his departure, and Delantris returned to her seat to ponder the ultimatum. Had it really all come down to this? Balan had, it was true, suffered the savagery of numerous conflicts in times gone by, and some of them had brought the planet?s population to the brink of disaster. That, however, had been long ago, and the entire world, diverse as it was, had lived in peace and harmony for a number of generations. For a society of such cosmopolitan variety this had been an achievement in itself, and Calor had sat at the knee of her grandfather, listening in rapt attention to stories of battles fought in days long past. The frontiers marked out on Gravich?s plans made serious inroads into territory never previously occupied by his people, and the chances of the Federated States agreeing to the terms were remote. She returned to her office and pressed a small pad on the desk. A familiar voice answered her call. ?Madam Chairman?? The voice of Dekor Vestron was its usual calm timbre, and the sound of it eased the tension clearly visible across her face. She sighed and leaned back in the chair. ?Ask Sonder Malafey to come and see me, please.? Sonder Malafey was the chief military adviser to the Council, and had not been present at the earlier meeting. Nor, for that matter, had the tactical staff of either side been in the chamber. It was now important that he be briefed on the conversation which had just taken place. He arrived within the hour. ?You summoned me, Madam Chairman.? It was a statement, not a question, and he bowed in deference to her position. A man of considerable charm and technical knowledge, he had been at the head of the military arm of the Federated States for the entire span of Delantris? career, and commanded immense respect from all factions within the regime. He towered over his leader and, having progressed to his current position through the ranks of the armed services, bore all of the stature of a giant amongst his kind. A mane of silver grey hair, accentuated by a full, but neatly trimmed beard, completed a powerful persona which dominated all of those subservient to him. A Ganorian, he was a member of one of the original clans which made up the Federated States, the other four being Ozar, Simova, Ulak and Zuria. He was an individual of no political ambition, and served whatever master happened to be occupying the Chair with equal loyalty. ?I did. Please, take a seat.? She pressed another pad on her desk and the floor parted, a chair appearing from its depths. The surface closed around its pedestal and Malafey sat down. ?There have been developments following on from the meeting with the Thyrenian delegation.? ?I understand that you met in private with Malkon Gravich.? His face offered no hint of opinion or reproach. ?News travels fast.? Delantris smiled ruefully. ?He?s offered us a deal for ensuring peace.? ?No doubt on terms eminently suitable to the Thyrenian cause.? Malafey snorted derisively. ?Indeed, and the redrawn borders cede much of the southern territories to their side ? a concession we cannot allow. Millions of our people live and work there, and the areas are vital to the economic and social welfare of the entire planet. In the wrong hands, they could instigate a dangerous shift in the balance of power.? She had risen, and paced the room as she spoke, but now came to a halt by the window overlooking the city. Lastra had been the Federated States? capital city for over two hundred turns, and stood astride the Mohl, a river of tranquil beauty, as it meandered through the last of its journey to the Great Milesian Sea. The largest port in the Federated sector, it had trading routes all over Balan, and would make a particularly special prize for the likes of Malkon Gravich. Its towers and galleries, set against the backdrop of its business district, provided the cosmopolitan society of which Delantris was so fond. The turn which took Balan around its star had reached the third of its seasons for Delantris? people in the northern continent, and vegetation was already beginning to change colour into the rustic hues which heralded the onset of the cold weather. She shivered, more in anticipation of what was to come on the political field than on the climatic front. It was enough to snap her back to the reality of the situation in hand. Malkon Gravich was something of an anomaly. Traditionally, the leaders of all political movements were drawn from the upper echelons of the society which formed their base. He, however, was not of this class, and had emerged from the rank and file of the general populace within what had become the Thyrenian Alliance. A sharp mind, allied to a shrewd eye for opportunity, had propelled him to the forefront of one of the minor factions within the Thyrenian sphere. Within a very short space of time, he had gathered around him a group of likeminded individuals, and this knot of activists had seized the chance to inspire the general population with their rhetoric. ?We?ve seen his kind come and go before, Madam Chairman.? Malafey was dismissive towards an individual whom he saw as nothing more than a minor inconvenience. ?True, but this time it?s different. He seems to have mobilised public opinion very quickly. Our intelligence agencies should have picked him out long before it came to this. We may now have the makings of a significant problem. Are your forces ready?? ?They are, and we outnumber the Thyrenians two to one. Unless Gravich has something up his sleeve, he is bluffing on a grand scale. Will there be anything else, Madam Chairman?? ?No, thank you, Sonder.? She smiled thinly, and he turned to leave. ?Wait. Check with our diplomatic staff over on the Thyrenian side. I?d hate to be caught unprepared if Gravich has been up to something.? ?Very good.? Malafey left with a smile on his face. A clear instruction to dig around on someone else?s patch was just what he liked. Calor Delantris did not share the enthusiasm of her military chief for sabre-rattling, and remained deep in thought after his departure. A call on her communication channel from Dekor Vestron shook her from her reverie. ?Yes, Dekor, what is it?? ?Madam. Reports are coming in of a cross-border incursion by the Thyrenian forces.? ?Inform Sonder Malafey immediately, and summon the full council.? So, despite his fine words, Gravich was clearly in no mood for waiting. It had begun, and the fate of the entire planet hung in the balance.